What Is the Best Electric Toothbrush for Your Teeth and Your Budget? More and more people are using electric toothbrushes. Dentists recommend them, especially for people who scrub their teeth too much or not enough with regular toothbrushes. If you’ve been searching, this guide will help you find the best electric toothbrush for your teeth and your wallet. It’s important that you talk to your dentist before you buy an electric toothbrush for the first time. They can help recommend one based on your teeth and brushing style. They can also step in if they do not think it is necessary for you to get one. 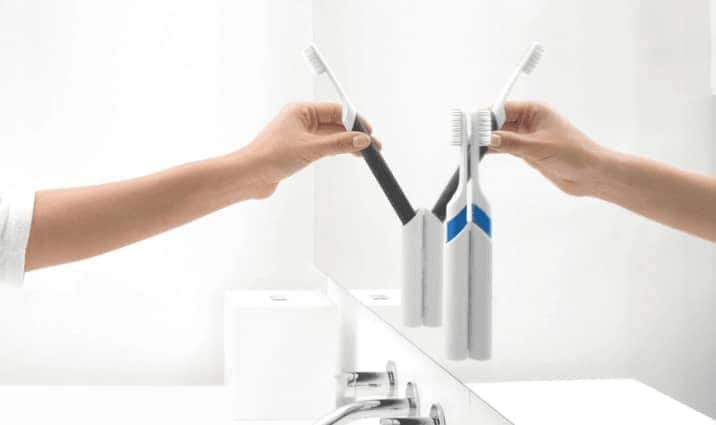 These toothbrushes are not for everyone even though they might be convenient. The two main brand names you’ll hear in terms of dental hygiene are Oral-B and Phillips. There are many varieties to these two brands in terms of the type of electric toothbrushes, such as Phillips Sonicare and Oral-B. However, popular brands don’t always have the best quality products. Even though these specific toothbrushes are the most popular purchases on Amazon for the search result, “the best electric toothbrush,” they are pretty expensive and do not provide the best dental hygiene. In fact, many articles that use dentist input list brands like Quip and Foreo, which are less well known. There are oval, square, and round-headed toothbrush tops. Not to mention, these can all vary in size and how they move. The base of an electric toothbrush is similar for all of the styles, but the top can differ greatly. When you think about what type of brush head you want, think about the size of your mouth. For example, the Sonic Go Smile Pro Whitening Toothbrush has a pretty large oval brush head. If you have a smaller mouth, you might want to look into the electric toothbrushes with smaller round heads like the Oral-B Pro 1000. In addition to size, these two brushes also have different ways of moving the bristles. Go Smile’s brush moves back and forth whereas Oral B’s moves in a circular motion. This depends on your preferences along with your dentist’s recommendation. If you brush too hard, your dentist might not recommend the Go Smile one because it could irritate your gums with its larger brush head. The best electric toothbrush with the lowest price that also has approval by the American Dentist Association is the Quip. Their prices start as low as $25 for a plastic electric brush. However, extra expenses will be applied for toothpaste and replacement brush heads. Another benefit to this brush is that it is also pretty small and easy to travel with. It requires batteries, which would be an added expense, but makes it easier to carry than ones with a plug-in charging base. The next cheapest option is the Oral-B Pro 1000, which comes in around $50 on most websites. This is cheaper than some of their more advanced models like the 7000 but is still highly recommended for cleaner teeth. The cool thing about Oral-B is each head fits the Oral-B electric toothbrush base. This can help you save money if you decide to try another head brush, which is likely because they have so many options. Lastly, the third cheapest electric toothbrush that is made specifically for whitening purposes is the Sonic Go Smile Pro Whitening Toothbrush. The toothbrush’s price is $100, which is way less expensive than a lot of other whitening brushes. The special whitening gel brings the total to $130, but it is a decent size, so it will last a while. Furthermore, you can find these products on sale or use coupons to lower the initial purchase price. Again, replacement heads are an added expense, but this probably won’t be required for two months or so. Depending on your situation and dentist recommendation, the best electric toothbrush on the market could be any of these last three options. This mainly applies to your wallet, but also to your teeth based on their dentist approvals and proven results.